EUCAP Somalia organized a basic training course on collection of Forensic Evidence and Crime Scene Management in Garowe, Puntland State of Somalia, from September 10th to 12th. 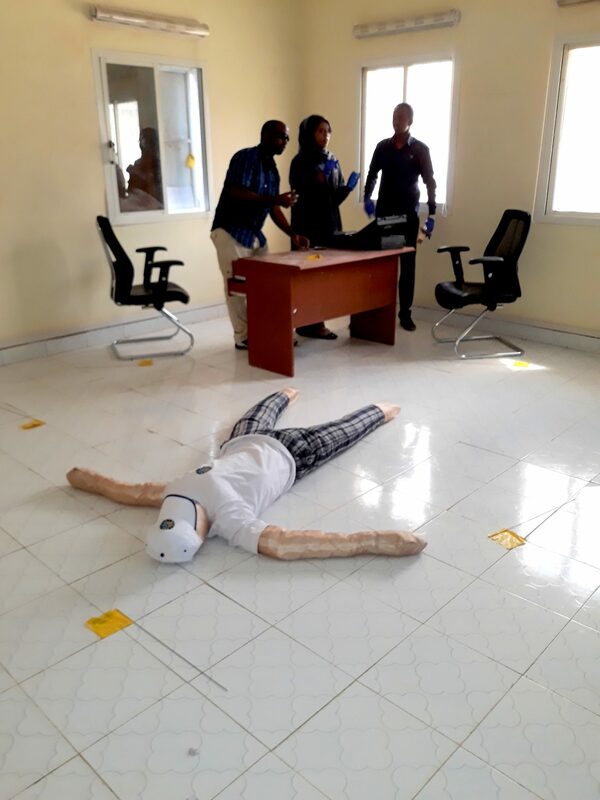 The aim of the training course was to enhance Puntland officers’ capability to collect forensic evidence at a crime scene and to appropriately manage a crime scene (Crime Scene Management). EUCAP Somalia put together the training following a request from the Puntland Criminal Investigation Department (CID). The Puntland CID was already in the possession of equipment for the collection of forensic evidence but so far lacked skills to appropriately use it. The participants were five officers, from the Puntland CID (including one woman) and three employees from the Puntland Bureau of Forensic Research (two women, one man). The training course, hosted at the premises of EUCAP Somalia’s Garowe Field Office, comprised of theoretical and practical sessions, inclusive of simulations and real scenarios (indoor and outdoor). One of the indoor scenarios included a burglary combined with a fatal ending. An outdoor one presented a situation with a body is found in an open field. Such a combination of awareness in a hostile environment made the participant aware of the further dangers that is possible to find on a crime scene, for example booby traps. The training course enhanced the participants awareness about the need to integrate disciplines before approaching a crime scene.